We report here on X-ray and IR observations of the Anomalous X-ray Pulsar (AXP) 1RXS J170849-400910. First, we report on new XMM-Newton, Swift-XRT and Chandra observations of this AXP, which confirm the intensity–hardness correlation observed in the long term X-ray monitoring of this source. These new X-ray observations show that the AXP flux is rising again, and the spectrum hardening. If the increase of the source intensity is indeed connected with the glitches and a possible bursting activity, we expect this source to enter in a bursting active phase around 2006–2007. Second, we report on deep IR observations of 1RXS J170849-400910, taken with the VLT-NACO adaptive optics, showing that there are many weak sources consistent with the AXP position. 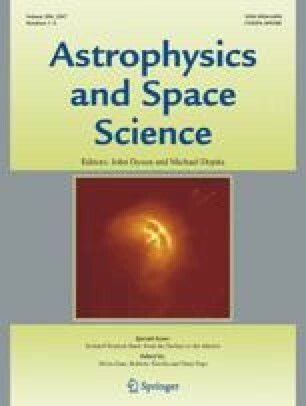 Neither star A or B, as previously proposed by different authors, might yet be conclusively recognised as the IR counterpart of 1RXS J170849-400910. Third, using Monte Carlo simulations, we re-address the calculation of the significance of the absorption line found in a phase-resolved spectrum of this source, and interpreted as a resonant scattering cyclotron feature. N.R. is supported by an NWO Post-Doctoral Fellowship. S.Z. thanks the Particle Physics and Astronomy Research Coucil, PPARC, for support through an Advanced Fellowship.